For many children, being social is a natural part of their day. Going to school, meeting new friends, afterschool programs and sports are a way for them to use their social skills every day. For children with autism, social skills have to be taught and learned in a more intensive way than their typical peers. This, however, doesn’t mean that children with autism do not want to be social. In fact, they are seeking the chance to build relationships just as much as their peers. Children with autism just need the to opportunity and guidance to build these very important social skills so they may create these important friendships and relationships they desire. One important tool to help teach children with autism to develop their social skills is to teach them to be ‘Social Thinkers’. It helps children to build their communication and social skills by discussing possible situations and determining what the “expected” or “unexpected” responses are to make the ideal social interaction. ‘Social Thinking’ shows children what both parties involved in the social situation may be thinking or feeling, which ultimately teaches the child how to react so that others have good feelings and thoughts about them. 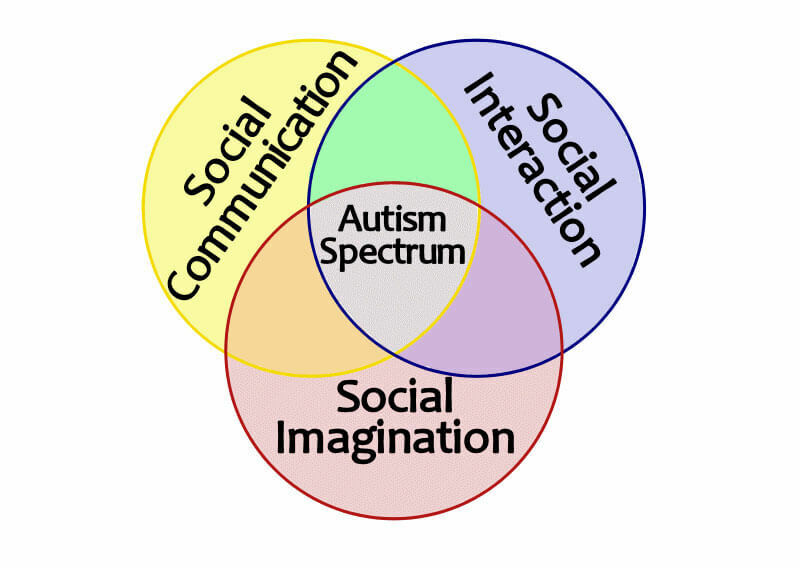 Another great tool is to expose children with autism to social skills groups. In these social skills groups, children learn to interact with each other through games, crafts and activities while working on social goals such as communicating, asking questions and commenting. There are many social skills groups that are geared to one particular interest such as a Lego, video games or trains. Children can go to the group and work on developing social skills with peers who have the same interests as them, which may help facilitate conversation and build solid friendships. Finally, another important way to help children with autism develop social skills is to take them into the community and go on community outings. Going to a grocery store, corner store or gas stations are an easy way to help children build conversation skills and learn how to react socially in specific situations. Sometimes having a script written about how a typical conversation at a specific location should go may help the child learn about interactions (for example: When at a grocery store; pick out items, put items on counter, greet cashier, pay for items, say thank you, collect bags). Learning social skills in these environments will not only help build communication but also create independence in the future for these children as these are things they will eventually be responsible to do on their own in their adulthood. Socialization may be difficult for children on the spectrum, but if we help give them the tools to succeed and build these social skills they will be able to develop meaningful and positive relationships in their lives. There is no better feeling than having a friend, and every child deserves that feeling!